"We got our start in the safari business decades ago as a bush pilot and guides operating a world-class safari lodge, and today it still remains the heart and soul of everything we do." Classic under-canvas camps are the heart and soul of what we are about at Outside GO. These are the outposts where Hemingway would have preferred to take his coffee, where the visceral safari lifestyle comes alive in every aspect. Here, only the thin canvas of your tent separates you from the rumbles of wildlife passing through the night. Find yourself fully immersed in the earthiness of the African savannah for an experience unlike any other at our favorite tented camps. If adventure is the name of your game, look no further than our favorite fly camps. You’ll arrive at camp after a day in the bush, ready to kick back and enjoy a meal cooked over the campfire. A tent pitched just for you holds nothing more than the basics—ensuring your every need is met while not stealing the show from the natural elements around you. Combined with a stay at any of our other types of camps, this is a great way to add a dose of adventure to your African story. The safari camp of old has evolved into what, for some, is a much more approachable way to enjoy the delights of the African wild. Modern touches provide an air of elegance to our hand-picked luxe lodges to make you feel like the explorer of an entirely different time. Expect luxurious touches like plunge pools, thatched roofs (combined with contemporary sliding glass doors), and whimsical details added just for your delight. 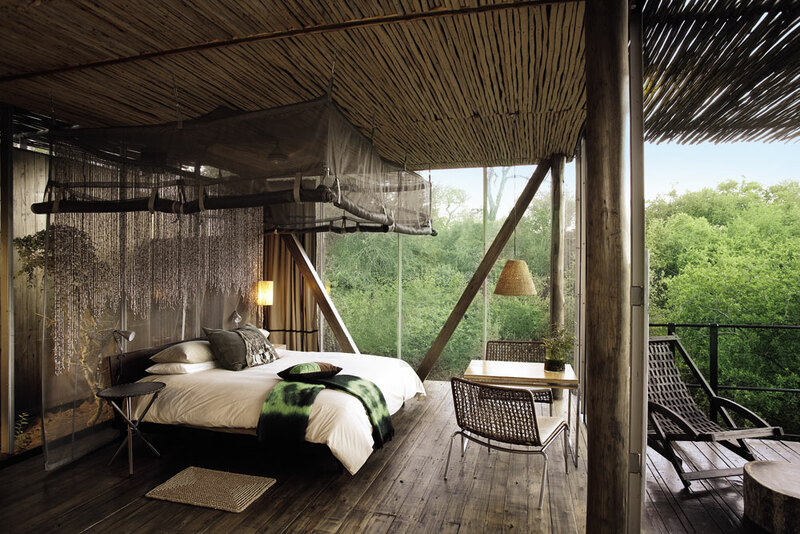 In 1993, the owners of Outside GO founded the Bush Homes of East Africa; an association of private ranches, intimate lodges, luxury tented camps, coastal retreats, bush camps, and small upcountry estates in Kenya. These amazing historic properties were built in the 19th century when Europeans first began settling in Africa and are located on private land and in conservation areas near or adjacent to famous national parks and game reserves. Today, a few of the descendants of those who made this beautiful, fertile land their home still live here—and they’ve opened their doors to us. If staying in one place isn’t for you, consider one of our expedition safaris. You’ll walk through the bush between a combination of camps, from mobile tents to elegant bush homes steeped in history. These expeditions are a marvel of planning between different outposts and top-notch guides, making them the only trips we embark on on specific dates. Keeping it real, authentic and off the beaten track! Let us help you design your safari with you at the best Camps & Lodges, with the most unbelievable wildlife, and five-star guides you can trust—far from the tourist track. A sampler of Zambia's best and most iconic offerings. Everything you would wish from an African safari is here, plush safari tents, exhilarating wildlife experiences, and breathtaking vistas. Morocco is a land of mystery and enchantment. The marketplaces reveal sounds and scents that entice us. The fascinating architecture speaks to an ancient culture. The Atlas Mountains offer vistas of immense beauty. This itinerary spends two weeks traversing Morocco and all it's hidden gems. Madagascar is a land where lemurs dance through lush rainforests, electric orange chameleons prowl along prickly branches, and a rich cultural heritage greets you at every turn. This 10-day trip is the perfect balance between culture, wine and culinary delights, and a sensational safari experience in South Africa. This lush and mountainous country boasts the world renowned Volcanoes National Park—home to populations of endangered mountain gorilla and golden monkeys. This is a week of pristine beaches, thatched-roof cabanas, and barefoot inspired design that will leave you feeling refreshed no matter how long its been since your last vacation.